A place for coconut lovers! Are you looking for a lunch or dinner that is tasty and healthy? Full of flavour and aroma our Thai green curry hits the spot and can be adapted for all needs! -In a wok, heat 1tsp Cocofina coconut oil and add ginger and garlic. -Once golden add a handful of soaked shiitake mushrooms and 2 tbsps vegan Thai green curry paste. -After a minute or two add a packet of stir fry vegetables and mix well. 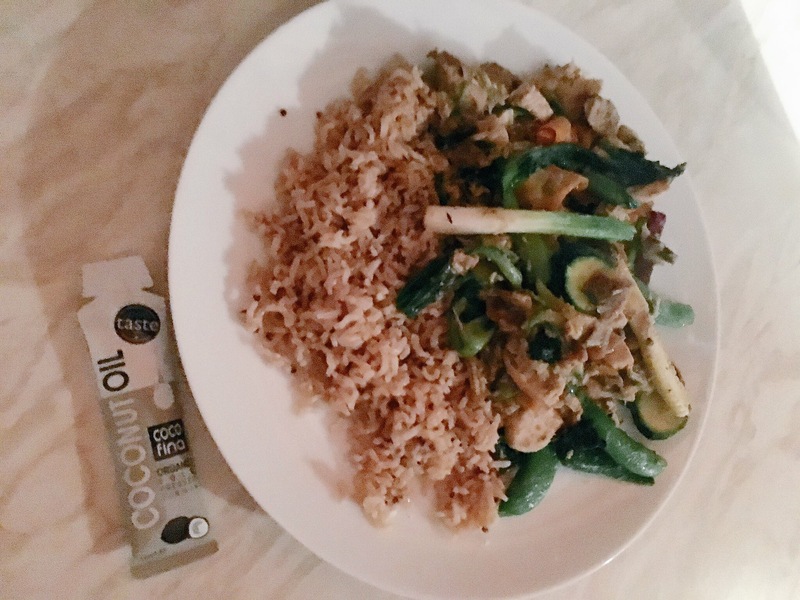 -Using 2 tbsp Cocofina coconut butter, make coconut milk with 2 tbsp boiling water and add to the wok. -Whilst it cooks place a bag of Tilda brown rice and quinoa in the microwave for 2 minutes. -Serve with a squeeze of lime and a drizzle of Cocofina Coconut Amino! Visit us from 17 to 18 April 2016 at the Natural & Organic Products Europe at ExCel, London and find out more about our range.